The WAE appliance supports one optional 4-port Ethernet inline network adapter. 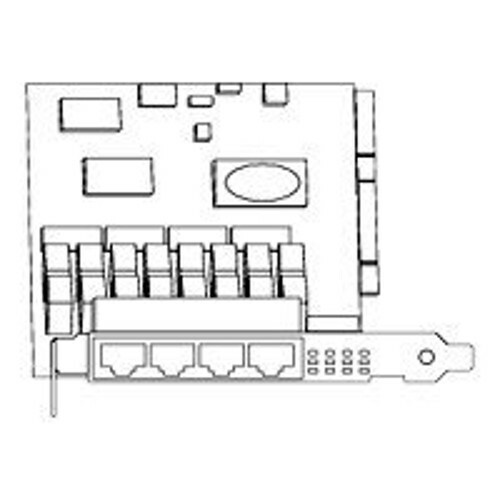 The inline network adapter is a full-height, three-quarter-length PCI-X network interface card that contains four independent Gigabit Ethernet ports.The Cisco WAE inline network adapter provides an inline traffic interception capability for your appliance. When you configure the WAE appliance for inline interception mode, you can set attributes to control which interfaces are to be used over which VLANs. By default, the adapter operates on all inline-capable interfaces and VLANs. You can configure the inline redirection feature using the WAAS 4.0.7 CLI or the WAAS 4.0.7 Central Manager GUI.